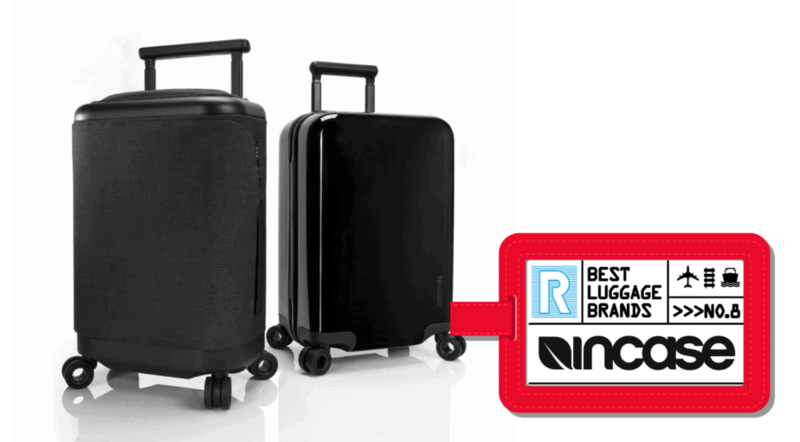 For the best luggage brand on the market, look no further than Rimowa. This German company has been producing premium luggage since 1898. Rimowa luggage is lightweight, offering timeless design and functional luxury. With Rimowa, you’ll enjoy your next adventure in style. Have you ever taken a moment to appreciate everything your luggage does for you? Like Chewie in the Falcon, your luggage should be a traveler’s best friend: providing everything you need, when you need it. And like everything in life, you want the very best. A quality piece of luggage will remain by your side for years to come: functional, fashionable, and reliable. After all, who wants to worry about luggage while you’re out there on the road? So do yourself a favor. Before heading off on your next trip, select from our list of the best luggage brands. Ready to get outta Dodge? If so, you need a quality saddle bag. With Rimowa luggage, you’ll always feel like you’re flying first class. This brand is all about revolutionary technology, elegant design, and premium quality. Take Rimowa on your next trip, and you’ll agree it’s by far the best luggage brand out there. Produced with the input of experienced travel bloggers, Eagle Creek offers the best luggage for those who like to go off the beaten path. With Eagle Creek, you’ll see the world in comfort and style, wherever you go. Affordable and reliable, Travelpro was founded by an ex-pilot whose luggage had seen it all. Innovations now standard across the luggage market got their start with this company. 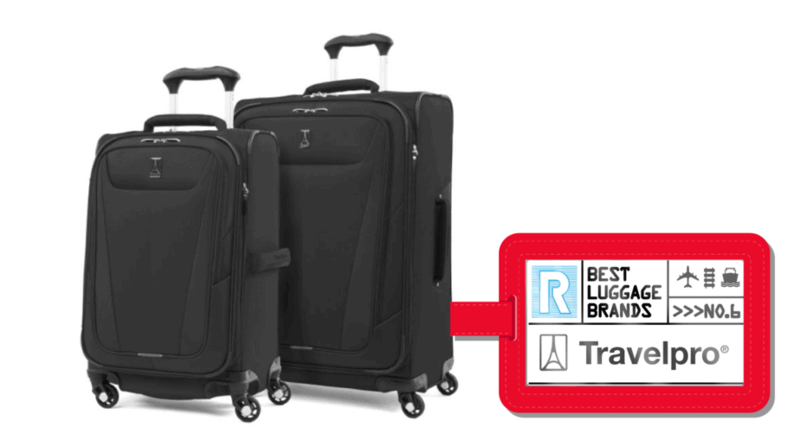 You could say Travelpro is the original premium luggage brand. Selecting a luggage brand that’s right for you is a personal decision. And we get it — it’s not easy to find that just-right balance of style, form, and function. Do you travel for business or pleasure? Do you tend to pack heavy or light? Do you like to rough it on the road, or is your idea of camping a hotel with bad Wi-Fi? These are all questions to ask yourself when shopping for luggage. 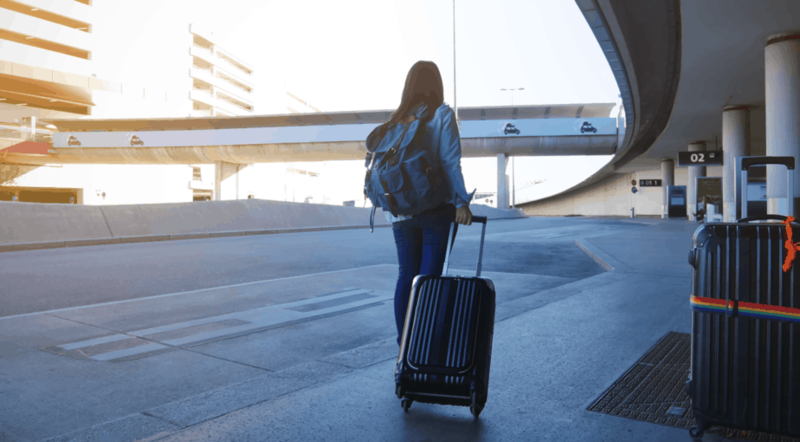 But with a few simple pointers, we’ll help you find the best luggage brand for your needs — a brand that will serve you well for years to come while complimenting your traveling style. Selecting the best luggage brand isn’t all subjective, however. Here are some objective considerations to keep in mind while on the hunt for new luggage. Design: Do you like how the luggage looks? Is it appropriate for the way you travel? Warranty: Many luggage brands offer warranties. Get to know any warranties the brand might offer before making a purchase. Quality of materials: Simply put: zippers, wheels, and handles need to last. Space: Does the luggage offer the kind of interior space you need? Size: The best luggage is thoughtfully sized, meeting both your personal needs as a traveler as well as any airline-specific luggage requirements. But just what exactly are the airline requirements? If you’re planning to fly with your luggage, familiarizing yourself with different airline policies is a good step when selecting the best luggage brand for you. How much can you fit in that overhead compartment? The answer is…well, it depends. Larger airlines adhere to the standard 45 linear inches (22” long by 14” wide by 9” deep). In the ever-changing world of air travel, some companies have loosened up their carry-on luggage size requirements. For example, Alaska Airlines now allows up to 51 linear inches. Need overhead space for your carry-on? It could cost you. Southwest Airlines: This is the only major U.S. domestic carrier offering 2 free checked bags with every ticket. American and United Airlines: A basic economy fare on American or United won’t even get you overhead bin space. So pack light! United, however, has a handy online tool for calculating baggage fees. Delta Airlines: Baggage allowances vary by member reward and fare class. JetBlue: Baggage allowance is tied to fare class. Spirit Airlines: Rare among budget carriers, Spirit offers a super convenient online tool to calculate bag costs in advance. Knowing how much you’ll pay in baggage fees should inform your ticket purchasing decision. But this knowledge should also play a part in your luggage choice. If your luggage is too big for your preferred airline, it could create hidden traveling costs down the road. Here’s a quick breakdown to help make your check-or-not-to-check decision a little bit easier. You can pack more! Even relatively strict size limits on checked bags will allow you much more packing room than a carry-on. Checked bags are generally allowed to weigh up to 50 pounds. But check with your airline. Policies can vary. There are a lot fewer restrictions on what you can pack in a checked bag as opposed to a carry-on. Checking a bag usually costs money. Checked luggage is still subject to size and weight limits. You’ll have to wait at baggage claim to get your bag back. While it’s relatively rare, airlines could lose your luggage, or mistreat it. Best to keep your valuables on your person (or reconsider whether they need to be packed at all). We know you have a lot of options when shopping for luggage. 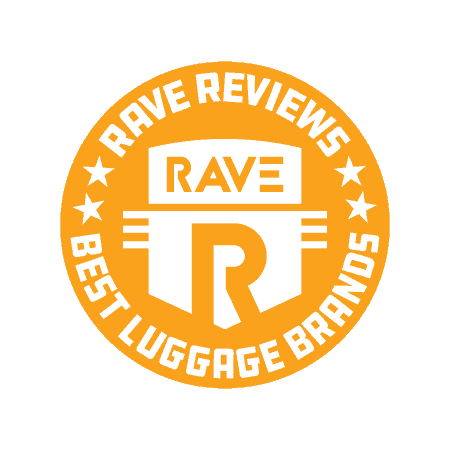 So to help, we decided to bring you this list of the very best luggage brands. 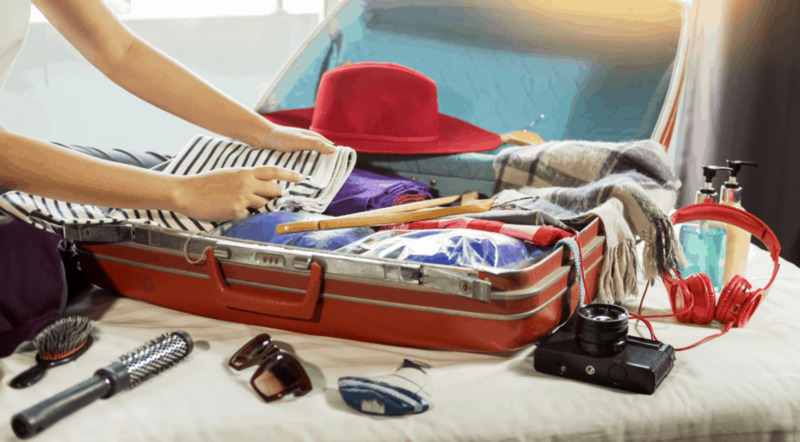 To come up with this list, we combed through hundreds of consumer reviews, as well as gathering advice from luggage industry experts and connoisseurs. We even took some luggage out on test runs (…around the block. Not to Paris, unfortunately). We’re confident you’ll find the best luggage brand for you on this list. In business since 1898, Rimowa is a brand leader in lightweight, premium suitcases that are unique in several ways. First, Rimowa suitcases turn and rotate easily in all directions. This is due to Rimowa’s patented multiwheel system, which uses ball bearings to increase mobility. 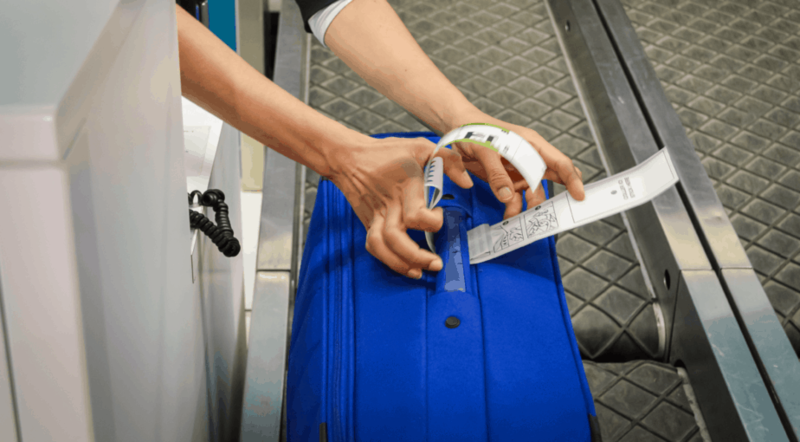 With the addition of the electronic tag, Rimowa helped usher luggage into the digital age. Ever wanted to check your bag before, or on your way to, the airport? Well, with Rimowa’s groundbreaking, app-enabled system, you can — simply by using your iPhone or iPad. Here’s how it works (it’s pretty cool): A data module is integrated in the suitcase. That’s just fancy tech talk meaning that instead of a traditional tag, a little electronic screen displays your luggage information. Use the free app to transfer your information via Bluetooth to the luggage. This functionality makes it easier than ever to simply hand over your luggage at any semi-automatic or fully automated baggage station. But you don’t have to be a techie to appreciate Rimowa. This is quality-made, cutting-edge luggage that will get you — and your stuff — wherever you need to go, safely and stylishly. 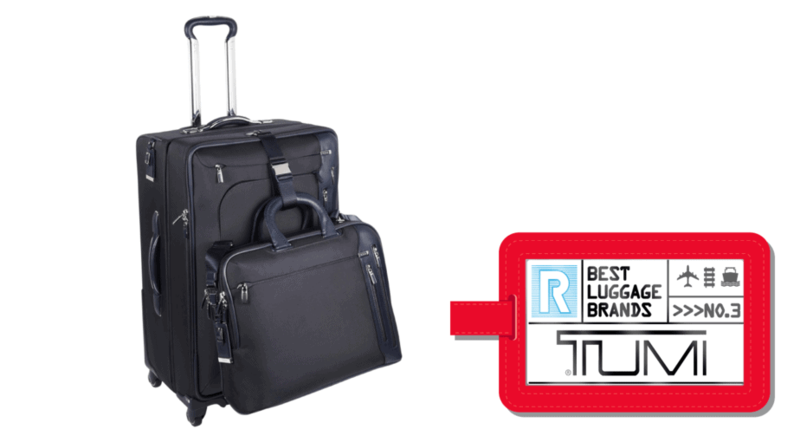 U.S. Luggage LLC, Briggs & Riley’s parent company, has been bringing innovation to the luggage industry for over a century. Like wheels on your luggage? You can thank U.S. Luggage for that, since they introduced the first wheeled luggage in 1970. Briggs & Riley entered the global marketplace in 2006 with a guiding principle of common sense. In addition to innovation, the brand is known for thoughtful engineering, high performance, and reliability. The brand offers a no-questions-asked “Simple as that” lifetime warranty. The warranty even covers damage caused by an airline! With this guarantee, you can feel confident your satisfaction is Briggs & Riley’s top priority. Not convinced yet? There’s also the patented Outsider handle design, meaning there’s no trolley handle bars inside the bag, so travelers get more packing capacity (and wrinkle-free clothing). And as if this all weren’t enough, the NXpandable system provides zipper-less one-touch rigid bag expansion. Most recently, Briggs & Riley introduced the patented CX expansion-compression system. With this feature, your luggage can expand up to 33% before compressing back down to regular size. 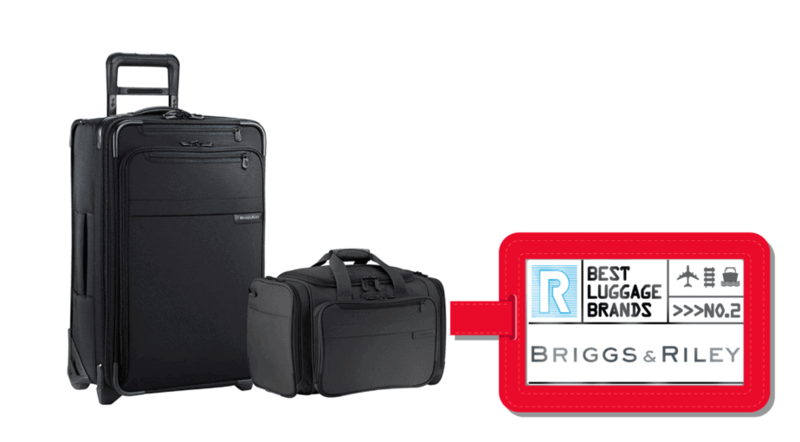 With so many technological innovations as well as a commitment to quality and service, Briggs & Riley definitely deserves to be listed among the best luggage brands on the market. The Tumi luggage brand is known for selection and quality. It’s earned this reputation with features like the nearly abrasion-proof FXT Ballistic Nylon fabric used exclusively in Tumi brand luggage. Other innovations from this brand include the Omega Closure System, Lever Lock, and many more. Tumi puts their products through a combination of 30 unique tests, ensuring the highest quality across the brand. The company also takes their products out into the real world to be tested and touched in everyday scenarios. So before reaching the market, Tumi bags have had everything tested — from color fading to water repellence, from drop tests to zipper puller tensile strength. Basically, these products will be ready for anything you can throw at them. For Tumi, security is essential. That’s where the TSA-approved T-Pass technology comes in. With T-pass, simply leave your laptop in your bag as it passes through scanners. After you make your purchase, Tumi will be there for you, with immediate in-store service for minor repairs, the Tumi Tracer product recovery program, and complimentary monogramming. With the rigorous testing process and high standards applied to everything Tumi puts its name on, you can feel confident you’re doing business with one of the best luggage brands in the world. Founded in 1910, Samsonite is known for numerous innovations in the luggage industry. The company has been at the forefront of key industry trends, while adapting to the ever-evolving market for premium luggage. Samsonite began as a trunk manufacturing company. Since then, it has grown to be one of the most well-known luggage brands in the world. While many brands now exist under the name Samsonite, the original core of products remains. This includes luggage, business bags, backpacks, duffels, and accessories, in both men’s and women’s styles. 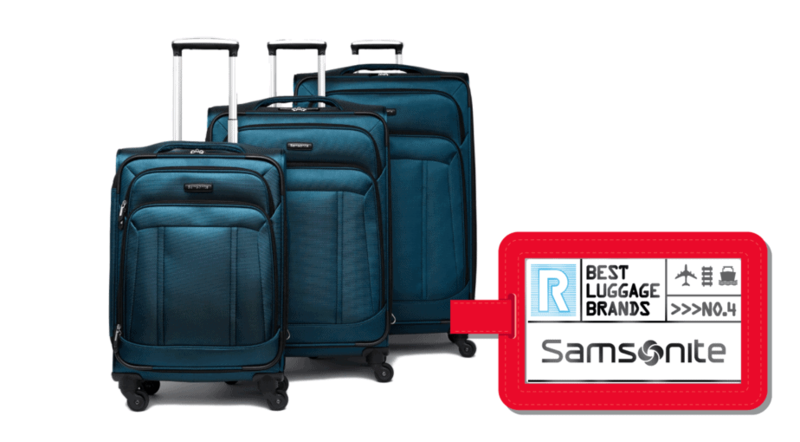 Samsonite is known for best-in-class design and durability. Common product features include 360 degree Spinner Wheels, and a TSA-Compatible Combination Lock — no keys required! In addition, the push button handle provides comfortable grip. If you’re in the market for new luggage, you’ll be in good hands with Samsonite, an industry leader for over 100 years. In business for over 40 years, Eagle Creek takes pride in producing versatile gear designed for experienced travelers. In fact, it could be said Eagle Creek doesn’t make luggage at all. Instead, it provides packing solutions, drawing on the experience of travel bloggers and a whole lot more. Be sure to check out their packing organizers. You can maximize space with the Original, Specter, or Specter Tech lines. Each one has features like a folding board, climbing-inspired zipper pulls, and ultra-light water- and stain-resistant ripstop nylon. And each packing organizer compresses up to 50% of its original size! Luggage collections come in 2-wheel, 4-wheel, and convertible styles. Convertible luggage goes from luggage to backpack, so can you can toss it on your back once you’re out of the airport and on your way. Eagle Creek also offers a “No Matter What” warranty, so you can feel confident your luggage will hold up when you need it most. Overall, Eagle Creek luggage is for the traveler who is eager to explore the road less taken. It’s easy to see why we’ve featured it here as one of the best luggage brands on the market. Travelpro was founded by Bob Plath, a Northwest Airlines 747 pilot. Needless to say, pilots travel a lot, so Plath saw firsthand what kind of wear and tear luggage endures. He knew there had to be something better. And what he came up with has become an icon in the luggage industry: a wheeled, carry-on suitcase pulled upright by an extendable handle called the Travelpro Rollaboard. The idea caught on and soon enough, the Travelpro Rollaboard was a must-have for travelers everywhere. Since then, Travelpro has expanded into garment bags, suitcases, executive briefcases, rolling travel duffel bags, totes, and backpacks. Travelpro believes in quality and craftsmanship above and beyond industry standards. The company dedicates extensive resources to quality control, putting every piece of luggage through rigorous testing. Suitcases are even tested above the maximum allowable weight for a checked bag. They are then put through more than 15 different trials testing durability and resilience. All fabrics, wheels, zippers, and handles must be able to tolerate the damage incurred from frequent travel. If durability is important for you — and it should be — Travelpro is a great luggage choice for your next trip. According to the company, Calpak puts the spirit of California in everything they do. This brand is all about freedom, flexibility, and style. Calpak luggage comes in a variety of styles, designed to meet your every need as a traveler. For example, there’s the Jen Atkin collection, which features Hinomoto 360-degree spinner wheels, an aluminum frame, and one-click TSA-accepted combination locks. All these features will keep you traveling smoothly and securely. And Calpak’s Gold Marble collection boasts a polycarbonate exterior and polyester interior. Like the Jen Atkin collection, this luggage line has an integrated, TSA-approved combination lock. 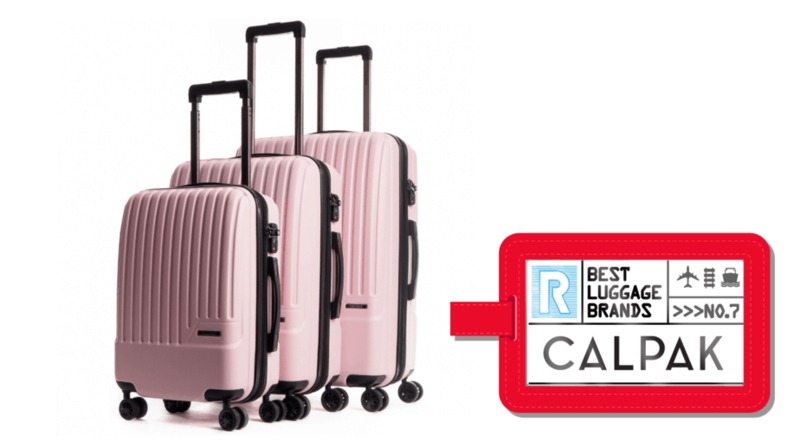 If you’re looking for a checked luggage option, consider Calpak’s Terrazo collection. With a lightweight and durable hard-shell body, the Terrazo comes complete with a telescoping trolley, cushioned top and side handles, spacious interior packing compartment, and an interior zippered divider with a zippered mesh pocket plus 2 elastic pockets. Give this company a try and you’ll see for yourself why we had to have it on our list of the best luggage brands. Founded in 1997, Incase is known for design that provides protection and mobility for everything from luggage to electronic devices. Incase’s specialty is the ever-changing world of on-the-go creative professionals. For example, in the realm of luggage, Incase offers the Novi Line. With Novi hard-shell rollers, expect class-A makrolon polycarbonate shell construction, polyester jacquard interior liner, and removable, smooth-glide wheels. There’s also a spacious main compartment with interior mesh pockets, and an integrated TSA-approved lock. Another offering from Incase is the AllRoute Rolltop Backpack. Made from ultra-light ripstop nylon, the AllRoute is highly resistant to water and all other kinds of wear and tear. There’s a large main compartment with accessory organizers for smaller belongings, as well as 3 quick-access pockets, independent access to your MacBook, padded back panels, and a rolltop-style cover. And it’s all kept safe and secure with Fidlock snap buckles and water-resistant zippers. To top it all off, you can feel confident in your purchase with Incase’s limited lifetime warranty. You don’t have to be a young professional to appreciate Incase. For anyone who considers themselves a tech-savvy jetsetter, this is one of our top recommendations. Over the course of the last 7 decades, Delsey has used its expertise to continuously adapt to the needs of modern travelers. Available in over 100 department stores all over the world, Delsey is known for its urban design aesthetic, featuring clean lines and bright modern colors. But the luggage isn’t just pretty: 100% of Delsey’s collections undergo rigorous and extensive testing processes. Plus, Delsey products are always guaranteed to be repairable. It’s all part of Delsey’s commitment to an environmentally conscious approach to design and durability. Because the larger sizes might mean trouble for international travelers, this brand drops to ninth place in our ranking. But overall, you can count on Delsey for reliable, resilient, and functional luggage. Made by the same folks who make the Swiss Army Knife, Victorinox luggage is perfect for globe-trotters who value functionality. The brand prioritizes ergonomics in their Travel Gear line, which includes carry-ons, messenger bags, classic suitcases, and totes. Whether you’re traveling for business or adventure, Victorinox will have a size, shell type, and color to suit your style. Victorinox Travel Gear designs are put through up to 30 rigorous tests. The objective is to simulate extreme real-world scenarios and environmental conditions. On top of that, each individual Travel Gear piece is meticulously inspected by a certified technician before being packaged. This testing regimen ensures precision, strength, and durability in everything from the Victorinox brand. 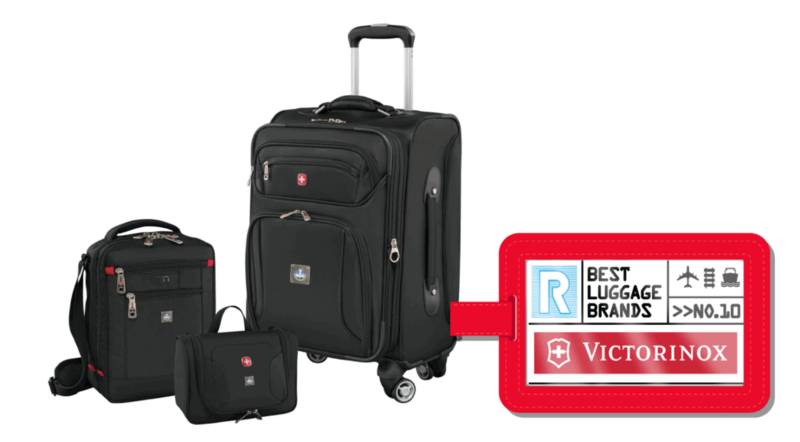 Although it rounds out our ranking at tenth place, Victorinox definitely earns a spot on the list of the best luggage brands. Which luggage material is the most durable? All luggage material has its own set of pros and cons. Nylon is light but sometimes prone to staining. Leather is extremely durable, but it’s also heavy. Some materials are easier to clean than others. But instead of focusing on the material that your luggage is made of, perhaps a more important question is whether your luggage is hard-sided or soft-sided. We’ve gathered some pointers to help you make this important choice. Should I choose soft-shell or hard-shell luggage? Hard-sided luggage offers the best protection. Soft-sided luggage offers more flexibility. That being said, modern technology has made soft-sided luggage more durable, and hard-sided luggage more lightweight. Now more than ever, much of this decision comes down to personal taste. Most soft-sided suitcases and bags are made out of ballistic nylon, cordura, and polyester. Nylon fabrics show up in higher-quality soft-side luggage. Polyester is the most popular fabric in cheaper luggage. Hard–side luggage is usually made with high-tech, lightweight, durable plastics such as ABS and polycarbonate. ABS is the lightest, but polycarbonate is more durable. The most durable material for hard-side luggage is aluminum, but it’s also the heaviest. Soft-shell luggage makes up the majority of the luggage market. This is largely because composite fabrics are stronger, more pliable, and lighter weight than the materials traditionally used in hard-shell luggage. But hard-sided luggage is making a comeback, with new materials offering better protection for less weight. One other important consideration: At one time, hard-side luggage was prone to cracking. But these days, polycarbonate flexes to absorb impact, minimizing cracks in the outer shell of the luggage. What is the best suitcase for international travel? International luggage size standards are mostly based on weight, but the details can vary quite a bit depending on where you are traveling. Nevertheless, here are a few pointers to keep in mind when traveling internationally. 50 pounds is the usual weight limit. The largest checked international luggage size allowed is 62 linear (total) inches. Standard checked luggage size is often right around 27″ x 21″ x 14″. Outside the U.S., the limit on carry-on baggage size is often smaller. The rule of thumb is about 21″ max — not 22″, which is common in the States. However, like any rule, there are exceptions. It’s best to visit the website of all the airlines you plan to use while abroad to make sure you’re prepared. 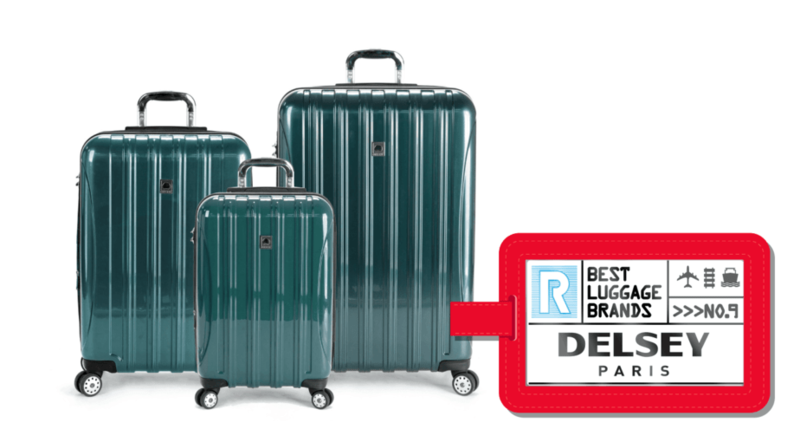 What are the best luggage brands? There’s a whole lot of variety in the world of luggage and luggage brands. And if you’ve ever tried to run through an airport with a rolling suitcase that just wouldn’t roll right, you know that your luggage can have a pretty big impact on how much you enjoy your journey. We’ve provided key information about all 10 of our winners in the full list up above. 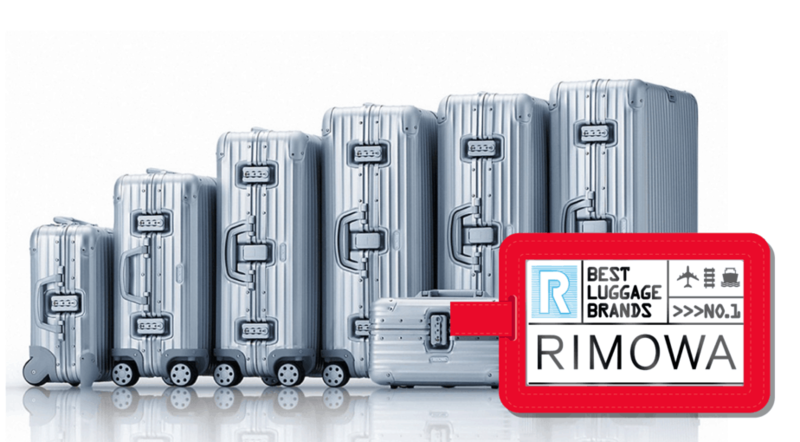 But if you want to get right down to it, here it is: Rimowa is our best overall luggage brand. 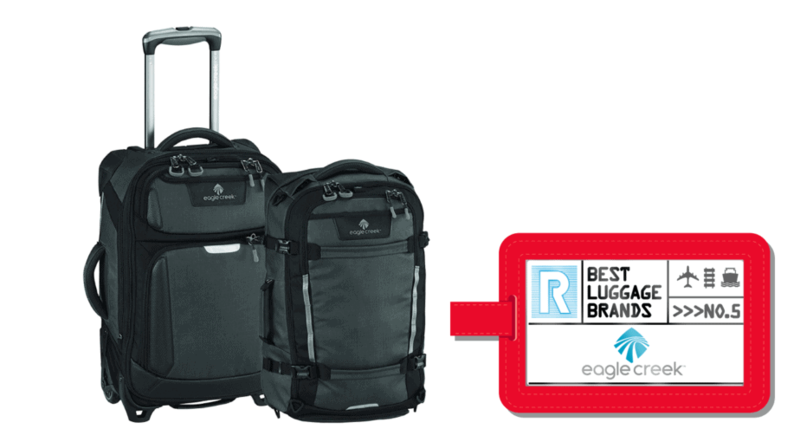 For the best luggage brand in the mid-range price spectrum, go for Eagle Creek. And if you want the best luggage brand on a budget, Travelpro has you covered. Now that you’ve got your luggage picked out, here are some must-have travel accessories to break in that new suitcase. Pacsafe Rfidsafe Z100: Any serious traveler needs this high-security, RFID-blocking bi-fold wallet. It’ll protect your ID and credit cards from hacker scanning. Anker 6-Port USB Wall Charger: Keep your electronics charged while you’re on the road with the Anker USB Wall Charger. With Anker, PowerIQ and VoltageBoost combine to provide the fastest possible charge, with up to 2.4 amps per port or 12 amps overall. Trtl Pillow: This neck support travel pillow comfortably cradles your head and neck while you’re on those extra-long plane flights. It’s made from super-soft fleece, with extra cozy cushioning. Alaska Bear Natural Silk Sleep Mask: This eye mask will help you get some sleep and feel rejuvenated while traveling. The natural mulberry silk is super soft, smooth, and cooling. William Kennedy is a freelance writer based in Eugene, OR. He lives in an 8th floor condo near downtown with his wife, daughter, and 2 cats, who all politely accommodate his obsession with Doctor Who and The Smiths.